The age of digital media is stronger today than it was just two years ago, actually stronger than it was just 10 months ago. You need to understand how to be an effective marketer to promote your website. It isn’t a secret that the search engines (Google, Yahoo, etc.) continually modify their algorithms so that we as developers, designers, and marketers are constantly seeking better methods to attract customers. Branding has and will remain a constant. In order to be an effective brand it is required to understand how the current process works to make sure your website is built smart. • Build brand links rather than anchor texts. This includes posts, articles and whitepapers that are relevant. • Subdomains had become a no-no for the last few months with SEO’s. Now things are changing again. For example, Google is treating subdomains as internal links rather than independent URL’s. That means as you build subdomains, be sure to target your keywords while naming them. This will improve your rankings. • Content is still king. Knowing this, you should choose wisely the links to your site. Be sure these are solid sites with good content. • Backlinks are good when done correctly. You can build backlinks through blogging, forum participation and press releases. In addition, you need to make sure that your website is easy to navigate, has no broken links, and has a site map. It should go without saying that the site should to be clean in design and not look too colorful like a circus. As much as this may seem obvious, just do some web surfing and see how many websites violate this rule. Maybe that’s why they are not well visited or ranked very high. And keeping with the digital age, make sure your website is devise friendly. Meaning it will operate on all forms of handheld devices (smart phones, tablets, etc.) as well as different browsers. It also helps to stay in touch with new and current trends such as qr codes. Although this could be overused, it is good to know that qr codes can be text messages as well as links to your website. Use them as often as needed to keep active customers in touch with your company. And finally, once you build that smart site, don’t let it sit for several months without updating or modifying the content. It is very important to have an active site. If not, then the SEO’s will quickly decrease your rankings, and t will be difficult to regain the position you once held. With the new battle among Google, Yahoo, and Bing to become the “choice search engine” by users, it is important to keep your pr marketing strategies current. That means knowing how SEO’s are finding your site to give it a ranking position in their index. Keywords are very important, and keeping the content fresh is also key to a successful web site. These tips below to optimize your site are used by professional web marketing companies and should be added to your pr marketing strategy as an on-going program. Just optimizing your site once a year, or every 6 months can cause your site to loose its page ranking. Why? Because your competitors are more aggressive today than ever before to keep their company in front of potential customers. If you do only the minimum web marketing for your site, then do not expect customers to find you. Or to see your site listed on the first page of any search engine. Let’s look at a few pr marketing strategies for web site optimization. 1- KEYWORDS. You need to do more than add a few keywords to your web site html. You need to research which keywords are most often used by your customers. Don’t guess, or use what YOU think are the best keywords, use an analyzer tool, or contact a professional. 2- FRESH CONTENT. Keep the web site fresh with new information on a regular basis. Do this every 3 months. It isn’t necessary to change every page of text. Have your blog be part of your site, and add a link to your Twitter account. 3- USE LOCAL TERMS/WORDS. Not all businesses are nationwide. Even if you are a national company, be local with your site. Use words that relate to location. Such as “local publicity in Orange County”, or “full service advertising in Santa Ana, CA”. 4- DISCUSS YOUR INVENTORY. If you have a cosmetic or beauty store, mention what new items, or clearance products you have. That will help your visitors and those surfing for products know your inventory. These are just a few tips to optimize your site to get better ranking and positioning with the search engines. For more in-depth, professional help contact George Carson at Carson Marketing, Inc. at 949-477-9400. Keywords. Why they are important for web marketing. Optimizing a web site is not for amateurs. If you are not versed in how SEO’s view keywords in a web site, then it is time to call a professional web marketing company, like Carson Marketing, Inc. Web site optimization is an art. It requires careful research and placement as well as modification to a web site in order to accomplish your goal…get a #1 ranking on Google, or Yahoo. For over the past 8 years, many web-marketing companies have emerged because optimization has become big business. It is not a hobby that you can do on the side. If you treat this form of business as a part-time activity with your company’s web site, or you pr clients web site, then expect little return. I’ll explain a few inside tricks to getting a top ranking. If you do nothing else, at least implement these simple tips. First, you need to select the best keywords that describe your company and your web site. For example, if you are in the weight loss industry, you need to search for keywords that will generate traffic to your web site. Most commonly used term would be “weight loss”. Although this is the most popular term, you should not use it. Why? 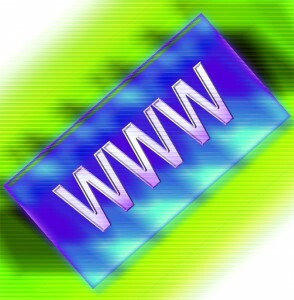 Because you will be competing with over 66 million other web sites (web pages). That means it may take a couple of years before you even get to be on page 20. It is important to analyze terms that people will type, but select terms that are not the highest searched. Such as “weight loss story” is a good example. This still has the words weight loss, but now you narrowed the field and it will give you a better opportunity to build ranking. There are several search tools that will help you find keywords and their popularity. You need to know how to interpret the data in order to make it work for you. A few good resources for keywords are: www.goodkeywords.com, www.overture.com, www.wordtracker.com. Remember, these are only one of the many tools you need, so use them wisely. Having other web marketing knowledge to make your site increase traffic and ranking would be helpful. Second, research the competition that has the highest ranking/position. View their source code to see what keywords are used. Then look at how and if they use the correct header tags as well as title tags. If this is all sounding confusing, that’s because web marketing isn’t a part-time job. Third, check to see if they underlined any keywords, or made them bold. 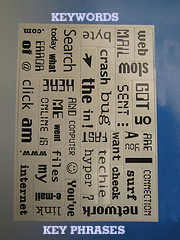 The text in your web site is very important and needs to reflect what is in your source codes. Last (at least for this part of the topic), check for images. How are they positioned, how are they titled, and if correctly tagged and placed in the keyword. It would take a hundred pages to explain this subject in more detailed. What I am trying to do here is give you a better understanding of what web marketing is all about. Now the challenge is up to you. If you are ready for a web-marketing program and cannot do this yourself, call Carson Marketing Inc. We’ll make things happen! Comments Off on Keywords. Why they are important for web marketing. How Can Optimizing Be Bad? Everyone who builds a web site claims to know optimizing. The same is true about those small startups saying they can get you listed at the top of SE’s (Search Engines). How is this relating to publicity? Because “Publicity is Everywhere!” If you direct the media to your site, but they forget the URL, they probably will type specific keywords in the SE to locate the web site. Ok, first let me say not all these companies are out to make a fast buck. But it appears that most of them are selling software or just doing a blast listing to all the SE’s out there. How can these really help? Well, you won’t see any progress for weeks, maybe a couple of months at best. That’s how they get your money and then you just shake off that bad experience when nothing happens and your still listed 348 on Google, or Yahoo. Web Site Optimization is more than placing a bunch of keywords into the HTML of your site. It isn’t the key phrase either. Because if you do this incorrectly, the search engines will pass you by! The keywords you selected…how did you find them? If these are the most popular, then you are going to get zero traffic for a long time. Knowing which are the best keywords and what people are using is completely different. Plus, using multiple words can be even more productive and generate traffic. Ok, stop for a moment. Is traffic what you want? I hope not. Because I can get you thousands of people a month easily, but they won’t be qualified to purchase your products or services. Qualified buyers are what you need. The number of visitors is important, if they are qualified. Keep that in perspective. 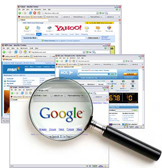 We can give you the optimization to get listed at the top of Google, Yahoo and MSN among other search engines. I am sure that the word "optimize" is overused, over said, and most likely is more than overdue. How can it be overdue? When it relates to publicity. Such things as press releases, or articles for the media all should be optimized for maximum exposure. The Internet has re-born how we write press releases and how they are distributed. Just as know that a web site needs to be optimized, so do your press releases. 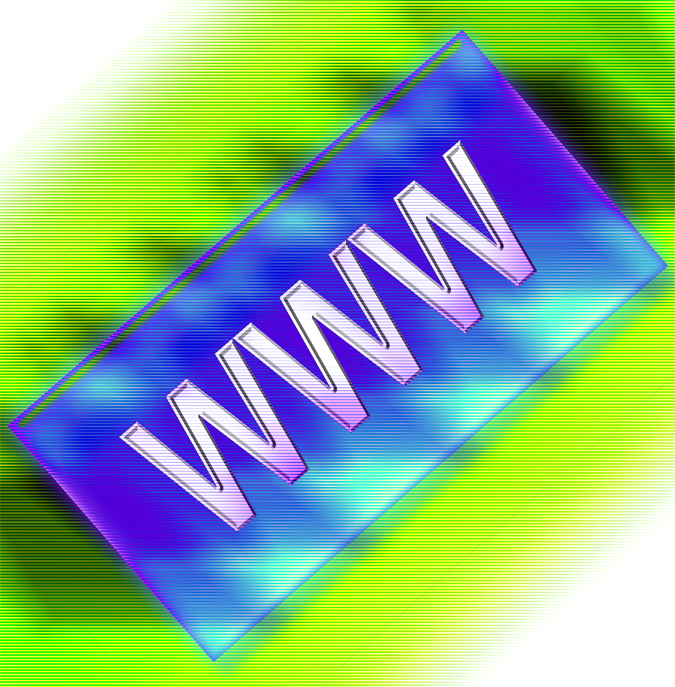 There are a lot of articles that help people learn what to do to optimize their web site. One for example by Yaro Stark gives his 10 tips for web site optimization. Title Tags. Make sure your title has the important words that best describe your release. Keyword density. Use your keywords and any phrases wisley, don’t repeat them too often. Your text should read clearly, not like a book on all your keywords. Structure. Keep the structure simple. Unlike a hard copy, an Internet media release should follow the traditional rules for online publishing. Links. Yes, with those allowing to use HTML, use links properly and that will help SEO’s find your site faster as well as the media. Contact Info. Without this, the reporters cannot waste time locating the person to interview or ask questions. Make sure all contact information is easily noticed. If you need more help with the web site or press release optimizing, give us a call. We can make things happen for you. Call us at: 949-477-9400.